How Can a Psychology Major Be Applied in Finance? Psychology is an academic major that is germane to the finance field. However, do not assume that your psychology degree will automatically open doors in the financial services industry. Instead, use a pyschology background as a strong attribute to market yourself to potential employers. Overall, a psychology background is an advantage in the financial services field because the knowledge gained provides insight into client motivation and attitudes making the job of an advisor a little easier. Here are some of the ways that psychology can be applied to the financial field. Financial companies and advisors all need clients, which requires marketing to attract clients. A background in psychology will help you to craft the right messages and develop a strong brand that will resonate with the needs and wants of your target market. A key component of successful marketing by financial firms is appealing to investors be it by catchy acronyms for complex products or persuasive quantifiable results presented in an impactful way. Influencing client behavior is powerful and should not be abused. 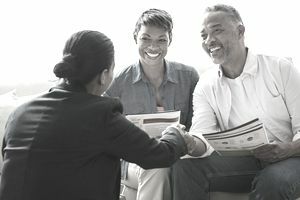 However, because a financial advisor must work in the interests of their clients, being able to steer an enthusiastic client from a risky investment and toward a more long-term or safer path might help both the client and you achieve your goals sooner. A background in psychology will equip you to manage a difficult client situation. Many financial advisors and financial planners start out in their 20s or 30s but attempt to serve much older and often wealthier clients. Meanwhile, those clients may be reluctant to rely on someone much younger for financial and investment advice. Understanding the psychology of different generations, their goals, and thought processes can help you to communicate in a more effective way. Doing so can help you to establish a rapport, win their confidence, and gain their business. The securities markets reflect extreme swings in public mood. The ups and downs of the market reflect the dynamics of crowd psychology - how the behavior of individuals is affected by the behavior of a large group. For example, a sudden sell-off of a stock might create a cascade effect in the market as other investors follow suit in the belief that there is imminent bad news. Psychology plays a huge role in market dynamics, and knowledge of how individuals react to certain stimuli is valuable to financial practitioners. People tend to block bad memories and remember good memories, and this tendency is not too dissimilar in the world of finance. Investors tend to remember gains and forget losses. Some think that cycles of boom and bust may be an inevitable result of the human psyche. Additionally, financial professionals, and traders in particular, can experience extreme stress. This can impair their long-term memory, cause them to forget previous market disasters, and cause them to repeat destructive behaviors. A person who understands the human condition and psyche is better equipped to avoid unfortunate consequences. Understanding clients' attitudes toward risk is crucial for many financial professionals. Additionally, since a client's risk tolerance often is influenced by past experiences, such as the state of the country and the world during the client's youth, appreciating clients' backgrounds and frames of reference can be key to serving them effectively. For example, those who grew up in times of economic recession or depression are often excessively risk- averse. In contrast, people who grew up in prosperous times and well-to-do homes may exhibit hyperopia - an orientation toward extreme optimism. Understanding your own psychology can be just as important as understanding the psychology of others when it come to your professional success in the finance industry. For example, how are you at managing your own finances? Whatis your risk tolerance? What area of finance would serve you best careerwise? This type of enlightenment will serve you well as you navigate your career. Under stress, people often become more intuitive and less analytical. In particular, financial advisors and securities traders must make quick decisions under conditions of uncertainty with huge sums of money at stake. Inexperienced employees often do not have good intuition, and financial managers should be aware of the psychology and emotional maturity of their staff.